In case you're wondering where I've been for the past month or so, you're finally going to get an answer. I've obviously been busy with college. I had my 1st Minors in February-end. After that, I've been busy with Maffick and Technosearch work. After a very busy month that included 3 trips back home to Delhi separated by a very small time span, I'm finally free enough to update my blog. My current whereabouts? I'm in Delhi till 22nd March. Now that I'm at home, I get to watch Television more often and the hottest thing on TV these days is the 3rd edition of the IPL, which started on 12th March. The latest edition of the IPL, has everything nice from the previous editions and some improvisations in addition to everything. One of the nice things from the last season that has continued is the Vodafone Zoozoo ads. The strategic time out, which was introduced last year has been modified. Instead of one 7.5 minute time out, there are two 2.5 minute time-outs now- one decided by the batting team and the other by the bowling team. 5 new venues, Cuttack, Nagpur, Vishakhapatnam, Ahmedabad and Dharamsala in addition to the 8 previous venues have been added in this season. The very popular IPL Horn/Trumpet is being used in this season as well. This year, its a slightly different horn that's played. IPL is getting bigger every year. YouTube is the exclusive worldwide online video partner and you can watch live streaming of all matches with a 5 minute delay on http://youtube.com/ipl. Recently, Airtel was the streaming sponsor for a match and was offering free, automatic 2Mbps upgrade for Airtel broadband users on the IPL youtube channel to enhance the streaming experience 🙂 . The IPL 2010 matches are being featured in theaters too. You can watch all the matches, except the ones that are being played in your city ad-free in some cinema halls near you. This a really smart move and is something I had been waiting for. Watching a cricket match in a multiplex is a really nice experience. I'll be watching the Mumbai Indians vs Royal Challenger's Bangalore clash tonight at a multiplex 🙂 . 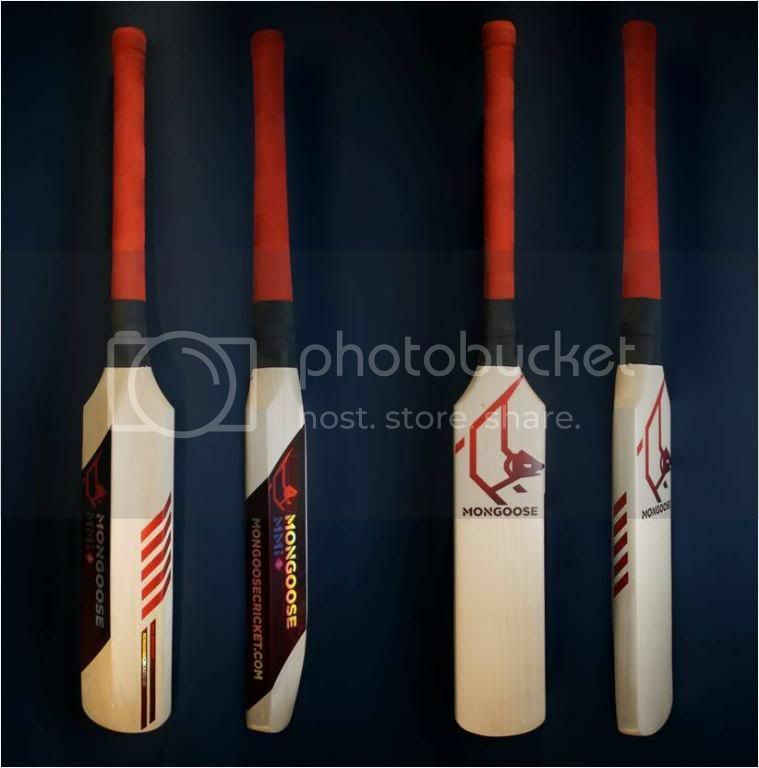 Another highlight of the IPL 2010 season was the debut of the Mongoose MMi3 bat designed specially for T20 cricket. The bat was unleashed on 19th March 2010 in the CSK vs DD clash. Mathew Hayden used the bat in the match and scored 93 off 43 balls. The mongoose MMi3 bat is a specially designed T20 bat. The blade is 33% shorter than a conventional bat and the handle is 43% longer. The bat claims to provide 20% more power and 15% more bat speed and gives the batsman an advantage. Mathew Hayden did play some nice, powerful strokes with his Mongoose MMi3 but it would be intersting to see the response the bat gets. People are gonna be skeptical before using this bat but I feel this really is going to gain popularity among other players. This edition of the IPL is shaping up quite differently as far as the results are concerned which is expected looking at the nature of the T20 game. Personally, I'm supporting Mumbai Indians ever since the first season and hope they perform better than they did in the last 2 seasons. Update: The new IPL horn ringtone for the 2010 season has been added. I'll see if I get a better version of this tone. Can I have a sip,Mate? This is probably what Shane Warne asked a fan during yesterday's match between Rajasthan Royals and Royal Challengers Bangalore. He eventually did get a sip of beer. The problem is that it isn't allowed and is against the spirit of the game. I expected some crappy Hindi news channel to sensationalize the issue. Instead, Times Now had a report on the issue.You can watch the report featuring Shane Warne sipping to beer. He came to bowl the following over and I expected him to bowl a wide but he's got good capacity.